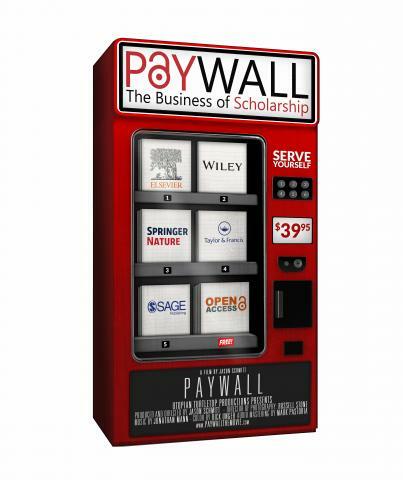 “Paywall: The Business of Scholarship,” a documentary about the hidden costs of academic publishing and the need for open access to research and science, will premiere on Sept. 5, 2018, at the Landmark Theater (E-Street) in Washington, DC. Additional screenings are scheduled at over 120 universities and institutions around the globe, including the United Nations, MIT Media Lab, UC- Berkeley and Cornell University. Academic publishing is a $25.2 billion a year industry. To put that into context, the publisher Elsevier’s journal Biomaterials costs an average of $10,702 for a yearly digital subscription. That’s a lot of money to pay for access to publicly funded research. In fact, in 1995, Forbes predicted that the internet and digital distribution of scholarly research would level the playing field on publishers and make them obsolete. The film, produced and directed by Jason Schmitt, dives into the need for open access to research and science, questions the rationale behind the $25.2 billion a year that flows into for-profit academic publishers, examines the 35-40% profit margin associated with the top academic publisher Elsevier and looks at how that profit margin is often greater than some of the most profitable tech companies like Apple, Facebook, and Google. The 65-minute film takes the audience on an excursion to where academic publishing began in 1665: The Royal Society of London. Schmitt illuminates how access to research is often limited for those outside prestigious academic institutions—especially within the Global South— and showcases how open access models like arXiv.org have played a strong role in information dissemination in physics, mathematics and computer science. He tries to make sense of the infamous scholarly pirate research service, Sci-Hub, which houses more than 67 million research papers that are available for free download, by interviewing its creator, Alexandra Elbakyan, who is currently in hiding in Russia. Schmitt and his film crew traveled over 45,000 miles and interviewed over 70 key leaders in academic scholarship, including professors and librarians at top-tier universities and leaders at Wikipedia, Creative Commons, the Smithsonian, the Royal Society, Open Society Foundations and the Bill & Melinda Gates Foundation. Staying true to the open access model: this film will be free to stream and download upon release and maintains the most open CC BY 4.0 Creative Commons designation to ensure anyone regardless of their social, financial or political background will have access to view this film. 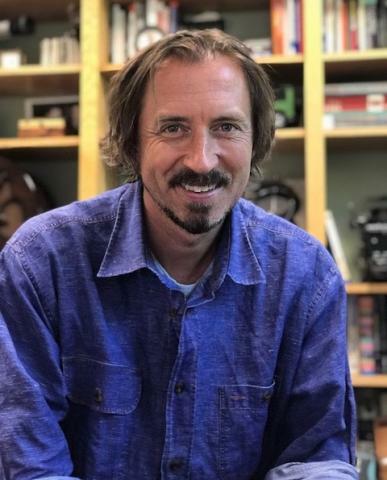 Prior to this project, Schmitt was the lead interviewer/field producer for the documentary, "Louder Than Love," a film on the historic rock venue The Grande Ballroom and its influence on rock and roll music. The film was awarded an Emmy in 2016 and has been to more than 35 festivals from Detroit to L.A and London to Australia.